I read this article and found it very interesting, thought it might be something for you. 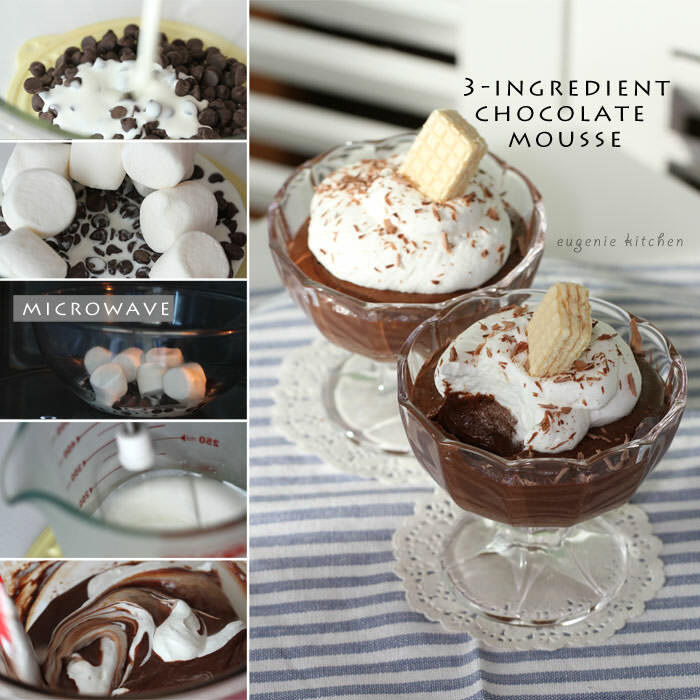 The article is called 3-Ingredient Chocolate Mousse Recipe and is located at http://eugeniekitchen.com/3-ingredient-chocolate-mousse/. Hi, I came back earlier than my plan because I wanted to upload Valentine’s Day specials in January. And 3-ingredient chocolate mousse is my first video. I love this instant marshmallow chocolate mousse with whipped cream, shredded chocolate, and a small waffer on top. This is an ultimate chocolate treat for your Valentine or everyday effortless crowd-pleaser. You know it takes only 3 ingredients and 20 minutes. 1. 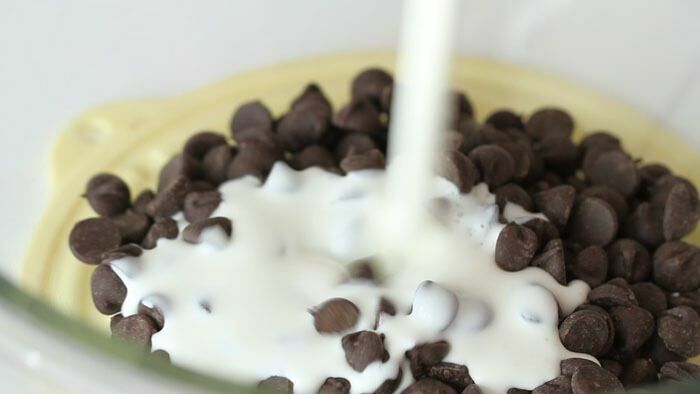 First, in a microwave safe bowl, add in 3½ oz of dark chocolate, ¼ cup of whipping cream, and 8 big marshmallows. Microwave it for one minute. And stir a little to roughly combine. Then microwave for one more minute and stir until homogeneously mixed. 2. 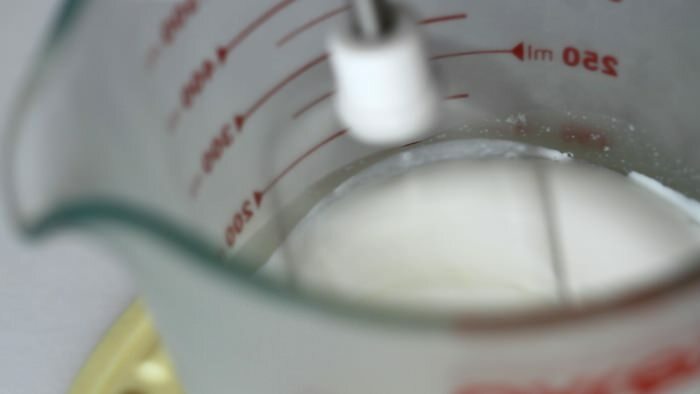 Now whip ½ cup of whipping cream without sugar until thick. And pour ⅓ of whipped cream into now-cooled chocolate mixture and fold to combine. Then pour the remaining whipped cream and fold until and homogeneously mixed. In baking this is a good way of mixing light mixture and dense mixture. If you use stove-top instead of microwave, melt marshmallows with cream in a sauce pan and melt chocolate in bain-marie (hot water bath) separately. Then mix together.